Rapid innovations and technological advancements are constantly shaping our daily lives. Disrupting innovations are changing the way businesses are being carried out. With almost every segment of business processes getting swayed by technological innovations, Human resources couldn’t have stayed far behind. 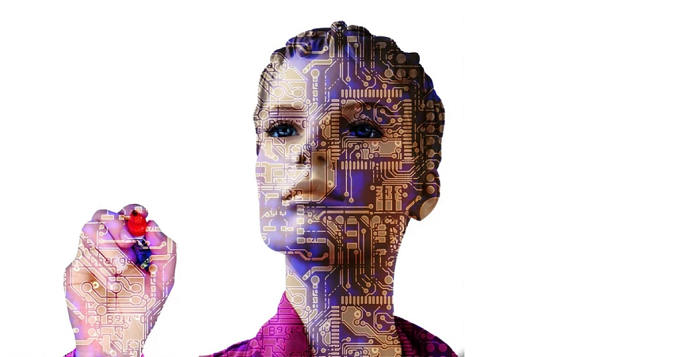 The latest trend in the technological front is Artificial Intelligence. Machines are now all set to take over and conduct business processes in an entirely different way. The question that arises here is whether machines are a competition or a companion to the man at the job. To answer this question let’s take the Human Resources industry as an example. Embracing Artificial Intelligence (AI) had been a conundrum for this industry. The dilemma was how machines are going to replace humans in an industry which is predominantly human-driven. Businesses are going concern as so are their processes. In this era of cut-throat competition, the bargaining power of customers is increasing rapidly and a company doesn’t have the privilege to plan only when a need arises. Quick, efficient and proactive service is what the enabled customer demands. This requires having the right men for the right task at the right time. Predictive analysis is a powerful tool to streamline these processes and reduce the gap between the available and required resources. Recruitment and selection, a process of utmost importance for the organization, is also one of the fundamental tasks of an HR. Automation is making this process efficient and fast for companies. Technology can help assist HRs in the tedious yet essential process of screening CVs and finding the candidate who is best fit for organization. It also helps in taking interviews and analyzing results based on various intellectual and behavioral parameters set by the organization. As of now, automated hiring is limited to low and middle-level managers and employees but it is soon going to take top-level management under its umbrella. Technology can keep a track of the tenure of each and every employee and, using the data gathered, it can predict future vacancies. This will assist the HR for succession planning. Employee acquisition is a costly affair and therefore companies are focusing more on employee retention. This requires engaging with every employee on a personal basis, listening to their problems and suggesting them ways for personal and career growth. Personalized HR is what a modern-day employee desires for. It is a mountainous task for a HR manager to reach to each and every employee and communicate with them personally. AI Chatbot comes to the rescue, making the job more efficient and less time-consuming. It engages with employees, gathers the data and using powerful analysis, finds out the pain points and areas for improvement. It could also help in getting feedback and appraising an employee. This, in turn, will drastically bring down the employee turnover ratio as employees will have a shared vision and belonging to the organization. Companies like nFactorial, EngageRocket and Hyphen are players in this segment and are assisting managers to get to know their employees better and take a more informed decision every time. Sexual harassment is a concern that even the top companies of the world are facing. The repercussions of this are far-reaching and easily malign a firm’s image. There are many ways devised to deal with this problem but there is always an element of subjectivity and biases in these methods. AI Chatbot, on the other hand, has no such shortcomings. It asks some specific questions and analyses the answers to those questions based on defined standards. A testament to this is Spot’s AI Chatbot which is a free web-based tool and is available to any employee who needs to deal with sexual harassment. As the dust is settling now, things are becoming clearer. Technologies such as AI are not a threat to employee but a smart friend who is going to take over all the repetitive and mundane work, leaving the employee with ample time and opportunities to showcase his/her talent and out of the box thinking in tactical tasks and strategic decision making. It is giving HR professionals an opportunity to shift from transactional to transformational jobs making this department even more relevant and indispensable for an organization.